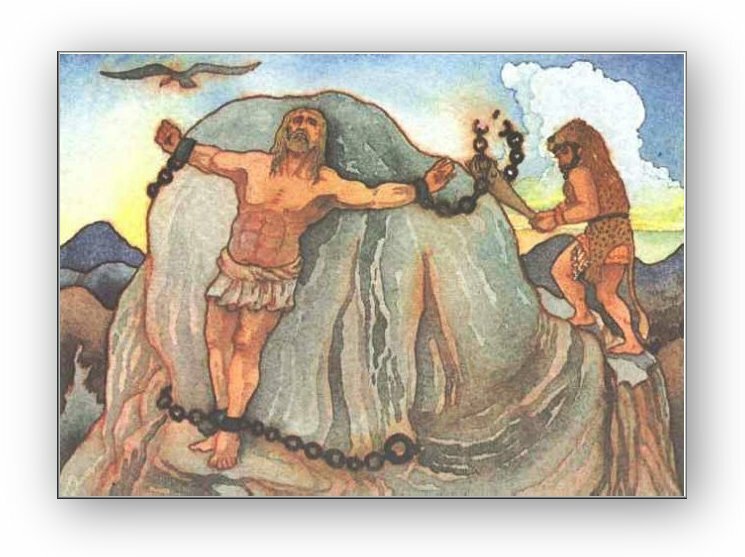 The trials and story of Prometheus teaches a vital lesson in balancing out primal and maternal instincts, allowing Nature to guide and nourish through the voice of Spirit. Allow the doors of adventure to swing wide open, while the breath of Life nourishes in eternity. 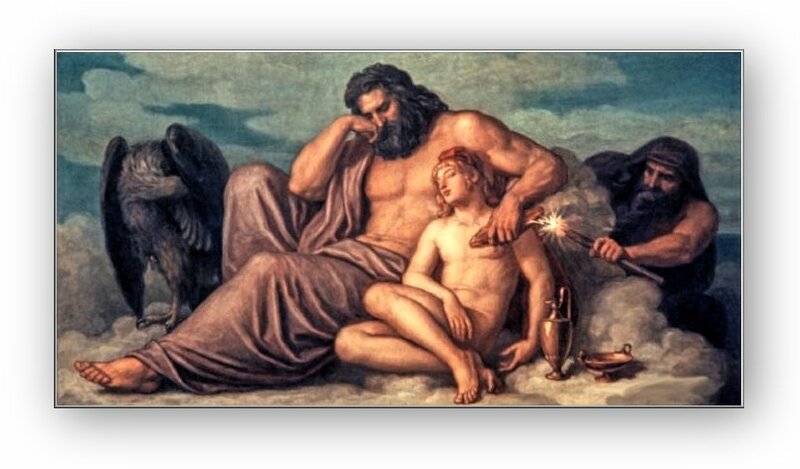 The mighty and courageous Prometheus from ancient Greek myth is a Titan, the son of Iapetus and Themis, brother to Atlas, Epimetheus and Menoetius. 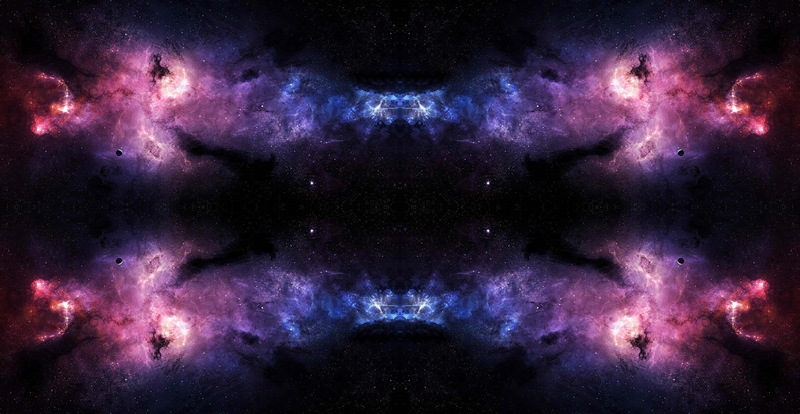 The name Prometheus means �forethought�, and reminds that passion for destiny can have many glittering sparkles on the waves, as well as hurdles to bounce over and through, bringing balance of desire and solution. 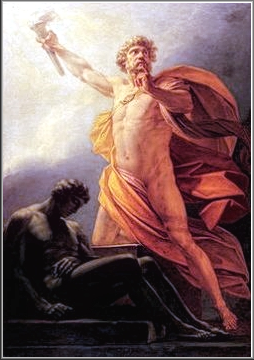 Prometheus is a champion of Spirit, an enduring personality with wily intelligence who took the sacred Fire of Zeus and gave it to the mortals. 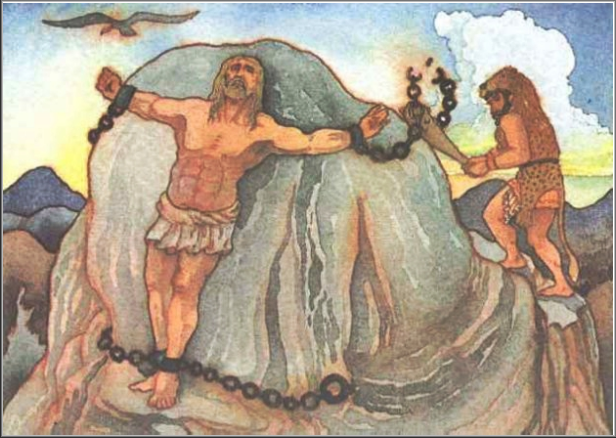 Zeus then punished him for his crime by having him bound to a rock while a great eagle ate his liver every day only to have it grow back to be eaten again the next day, a cycle of punishment. After Prometheus' theft of fire, Zeus sent Pandora into the mortal world in retaliation. Despite Prometheus' warning, Epimetheus accepted this �gift� from the gods. Pandora carried a jar with her, from which were released �evils, harsh pain and troublesome diseases which give men death�. Pandora shut the lid of the jar too late to contain all the evil plights that escaped, but hope remained in the jar, to bring fortune at times of great hardship. 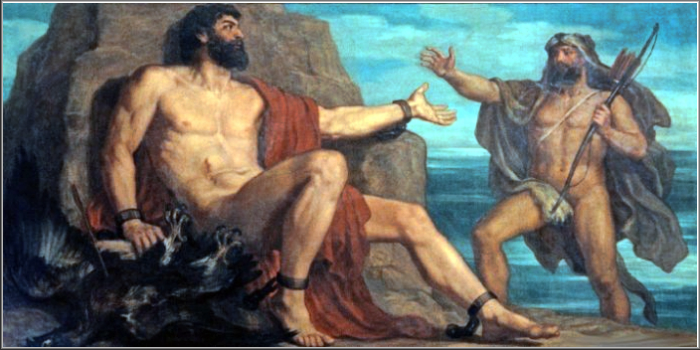 Prometheus Bound, written by the mystical playwright Aeschylus, is the most famous story of the myth contained within Greek tragedy. 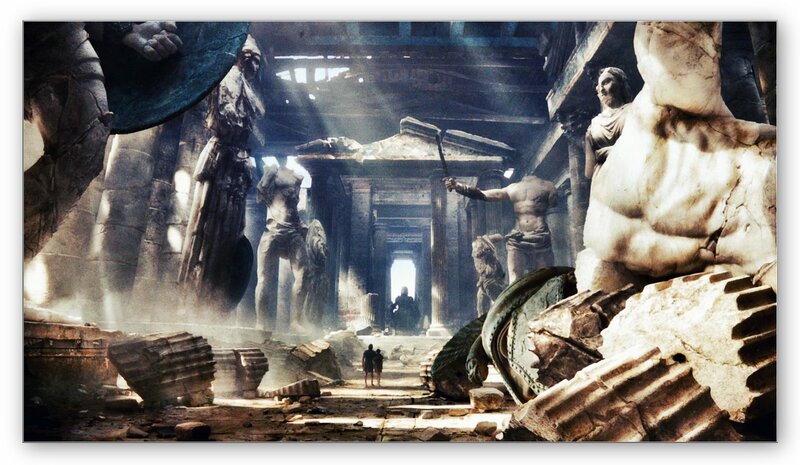 Before his theft of fire, Prometheus played a decisive role in the Titanomachy, the war of the Titans, by securing victory for Zeus and the other Olympians. 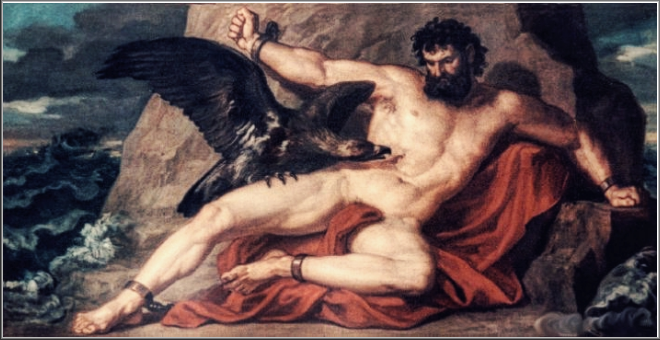 Zeus's torture of Prometheus becomes a cowardly betrayal. During the journeys of Heracles contained within his twelve tasks, trial number eleven was to retrieve three of the golden apples guarded by the Hesperides. This was a most difficult challenge as the garden of the Hesperides was located in a secret place. 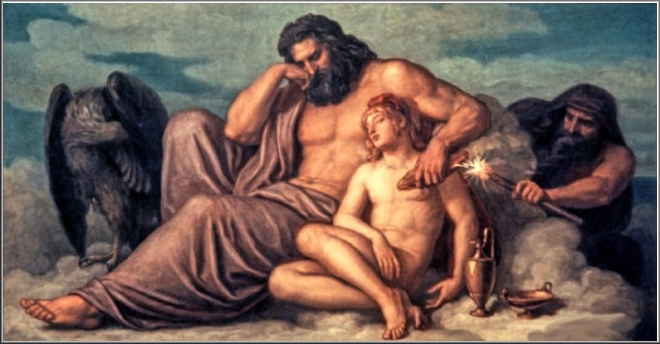 After a scuff with Nereus, Heracles finally divulged the garden�s location. 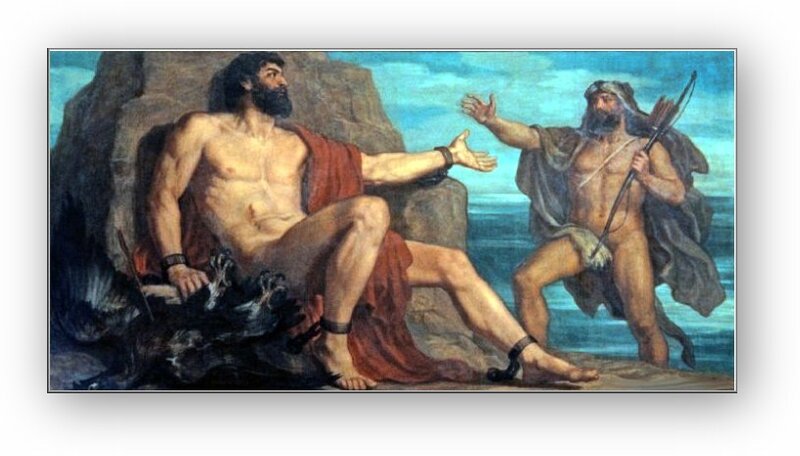 Along the way, Heracles met Prometheus and freed him from his sordid torture. 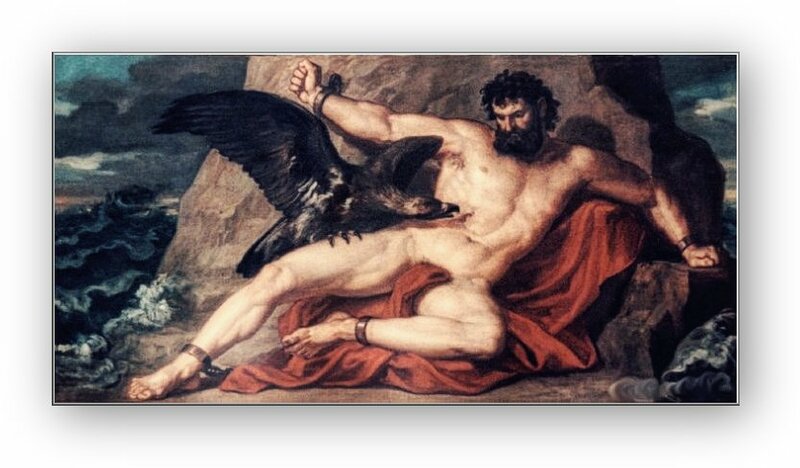 In gratitude, Prometheus gave Heracles the advice to seek the help of Atlas to retrieve the golden apples. Life reminds that no matter what trials and tribulations one journeys through, the path always ends on lightness, on Victory! Just like stepping into a tornado, there is ordeal and perseverance through chaotic disturbance. 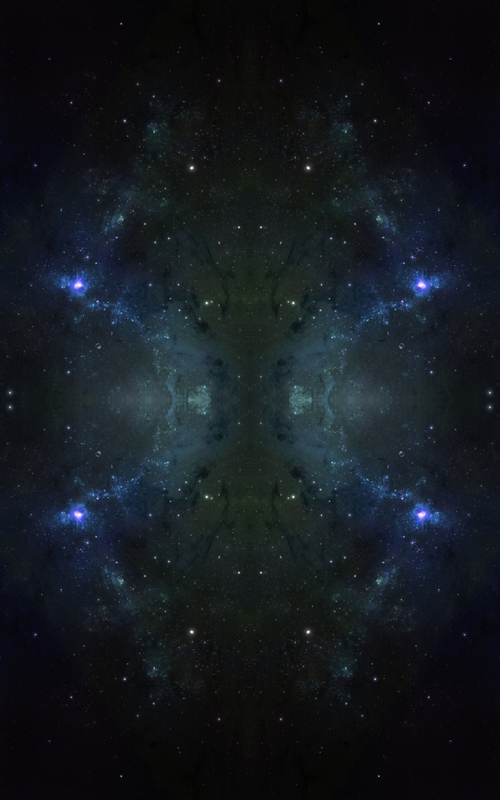 Peace and serenity are found in the centre of the enveloping charm of Gaia.